With soils from an ancient seabed, there are distinct marine aromas in this wine. White field flowers, citrus zest, and minerality this wine also has a very juicy character. Pair with fish, shellfish, lighter veal dishes, washed rind cheeses. Patrick Piuze is a whirlwind of accomplishments. In a short time he has gone from owning a wine bar in his native Quebec to become of one Chablis' prominent rising stars. He has worked with legends Olivier Leflaive, Verget, and Domaine Marc Brocard. In 2008 he started his own micro-negociant business. 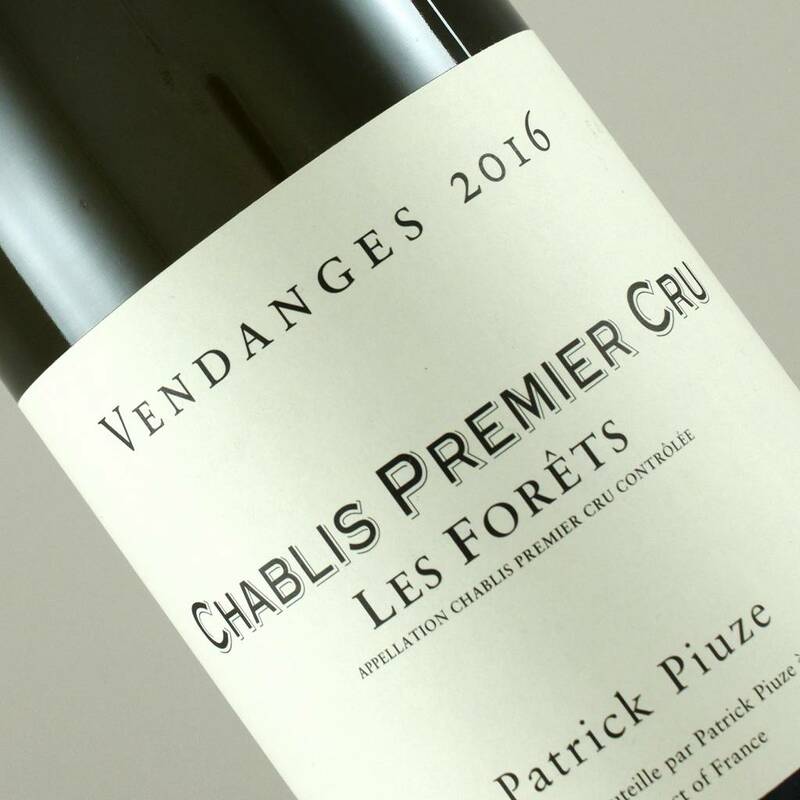 He sourced old vine fruit from Chablis respected growers making over (20) cuvees including grands crus, premiers crus and village wines plus a Petit Chablis from vineyards adjacent to the grands crus. Piuze is exceptional at identifying the nuances between the villages. Using long, natural fermentations, Piuze creates powerful but graceful wines with soft, often penetrating textures. His wines are lively, energetic with remarkable purity.